I’m confident these two are going to be THE best parents around. They both have an abundance of patience and the most gentle hearts. I cannot wait to welcome baby Ethan to this world. Congrats you guys!! 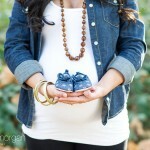 May this last month of “pre-baby” life be as restful as possible! Seriously you guys, I can’t wait! These two have this beautiful comfort between them. It’s so sweet, so calm, and so subtle, but so absolutely there. 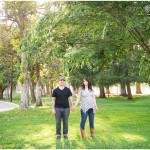 We ventured out just a few miles from their lovely home to capture these pictures, and I kind of love them. Hope you do too! Happy Friday Friends! This whole shoot was simply incredible. One of my absolute favorite locations on Earth, hair beautifully styled by the fab Amie McNair, and holy smokes a gorgeous momma-to-be just glowing in the summer sun. What more can a girl ask for? I quite simply love these pictures. 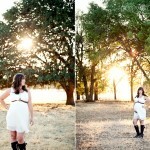 Beautiful summer sunshine, puppies, and my best friend glowing in all her third trimester glory!